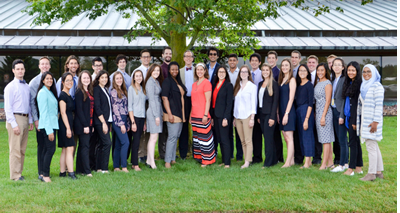 Each summer, undergraduate, medical students, and graduate students from various schools across the country participate in a summer internship program at MCORRP. These students perform a wide variety of tasks, from data collection, analyses, and entering data into our various registries, to shadowing physicians and conducting their own research. Students work within registry teams, collecting data for registries which some may use for their own research projects. With access to MCORRP statisticians, students are able to design their own research questions, analyze data and summarize their findings. At the end of the internship program, students summarize their research projects during a formal presentation in Danto Auditorium to faculty, staff, fellow students, and family members. They are also encouraged to develop an abstract on the topic they studied which may be submitted as an abstract to a national scientific meeting. Many of these lead to peer-reviewed poster presentations and publications. In addition to working with the databases and creating research projects, students attend cardiology grand rounds, meetings at the hospital, weekly lectures on various topics in cardiology and research, as well as, shadow cardiology physicians on inpatient rounds. Shadowing physicians/providers includes outpatient clinical visits with physicians and nurse practitioners as well as visits to the catheterization lab, echo lab, and other areas. One of the requirements of the internship program is to spend a week volunteering at World Medical Relief to work medical supplies and test used pacemakers. 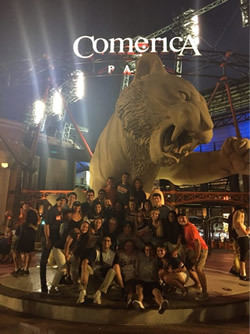 The student interns also organize social events, field trips, and sports teams, further enriching the “team” experience.